September 27-28, 2007 -- 4:00 p.m.
September 27, 2007 -- 4:00 p.m. The way that a magic trick works can be even more amazing than the trick itself. I will illustrate by performing and explaining a trick whose mathematical underpinnings involve secret codes, robot vision, breaking and entering and the statistical design of taste testing experiments. The mathematical questions raised by the trick lead to the edge of what we know. This is a talk suitable for a general university audience. September 28, 2007 -- 4:00 p.m. The Gibbs sampler (also known as the heat bath algorithm or Glauber dynamics) is a mainstay of scientific computing. I will explain the algorithm, give many examples where the operators can be explicitly diagonalized ( thus sharp rates of convergence are available) and explain a useful connection with von Neumann's alternating projection theorem. This meeting of operator theory and statistics has consequences for both subjects. All is joint work with Kshitij Khare and Laurent Saloff-Coste. shuffles, after which the thus-far experienced increase in randomness with each shuffle decreases sharply. Seven shuffles, for reasons made precise in the paper, is what casinos should use. 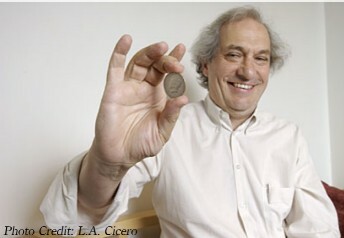 Among his many honours, in addition to the MacArthur Fellowship, are a fellowshipo in the American Academy of Arts and Sciences (1989), membership in the National Academy of Sciences (1995), and honorary degrees from the University of Chicago (2003), Universite Paul Sabatier (Toulouse) (2003), Uppsala University (2005), and Queen Mary University of London (2006).